Coach drivers should note that this cemetery is accessed via a small road, which has no space to turn around at the end. 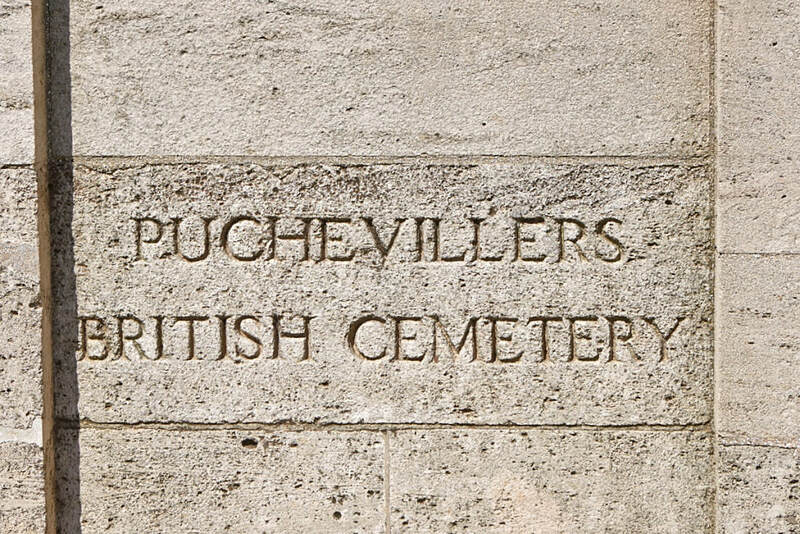 In June 1916, just before the opening of the Battles of the Somme, the 3rd and 44th Casualty Clearing Stations came to Puchevillers. 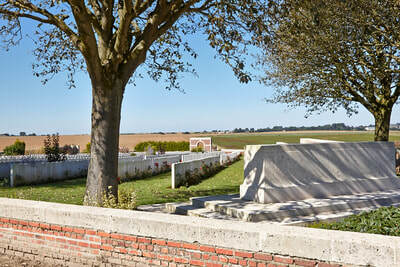 Plots I to V, and almost the whole of Plot VI were made by those hospitals before the end of March 1917. For the next two months the 2nd/1st South Midland Casualty Clearing Station used the cemetery. 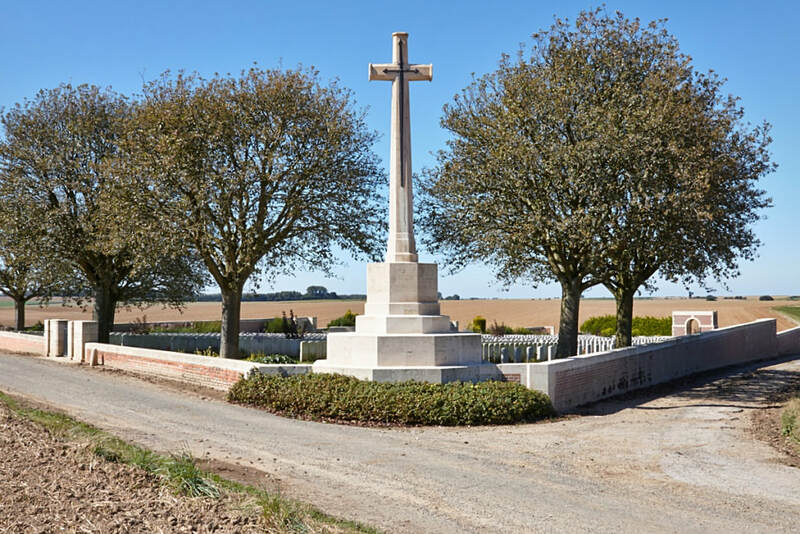 Plot VII contains for the most part the graves of men who died in the German advance in 1918, many of whom were buried by the 49th Clearing Station in March 1918, or by the 48th Labour Group in August. 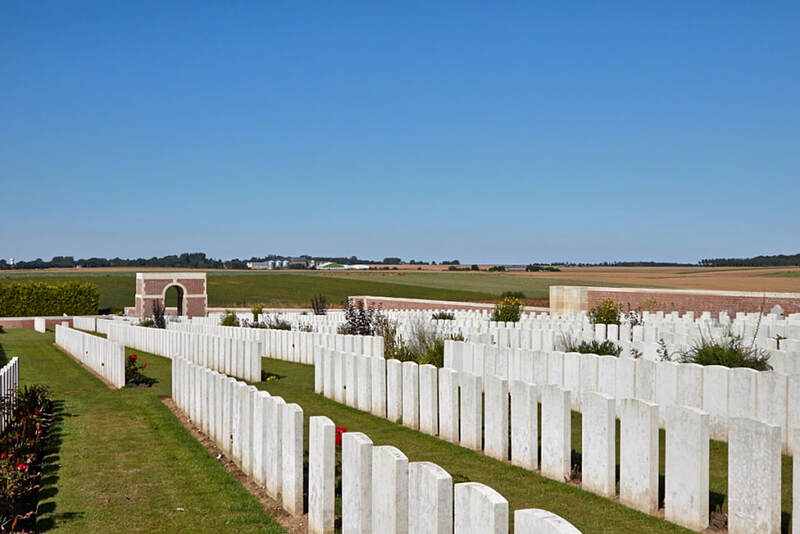 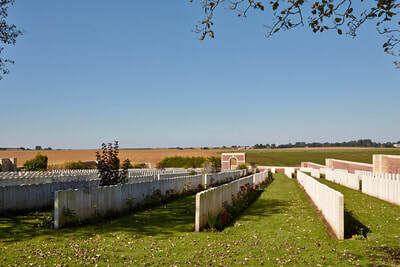 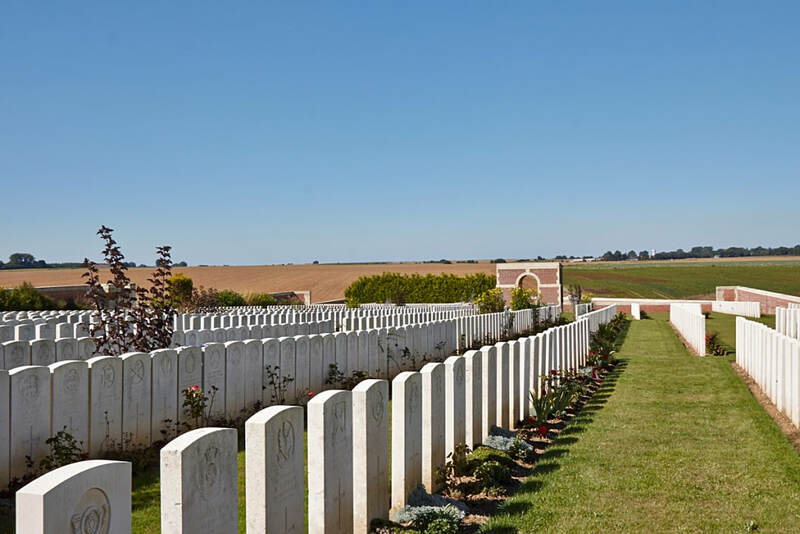 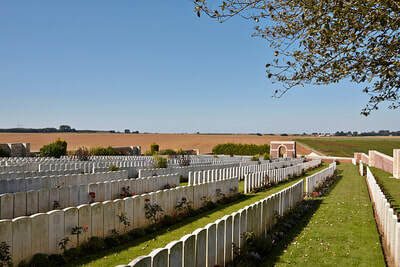 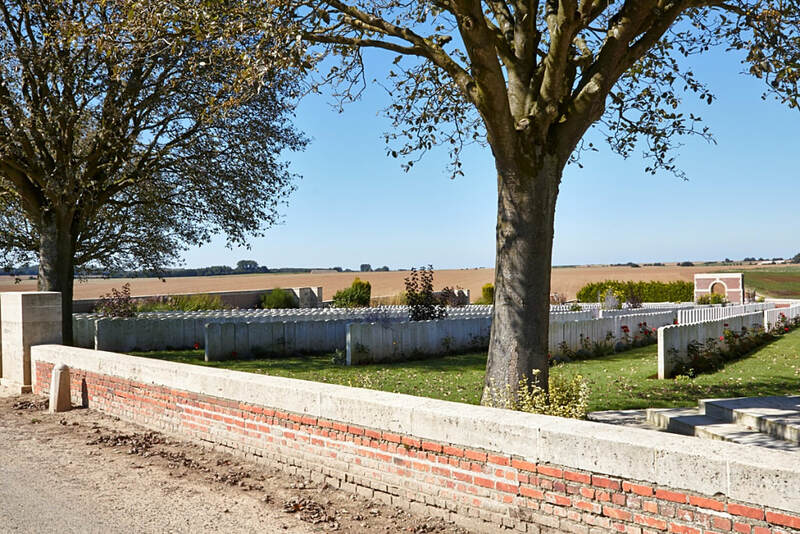 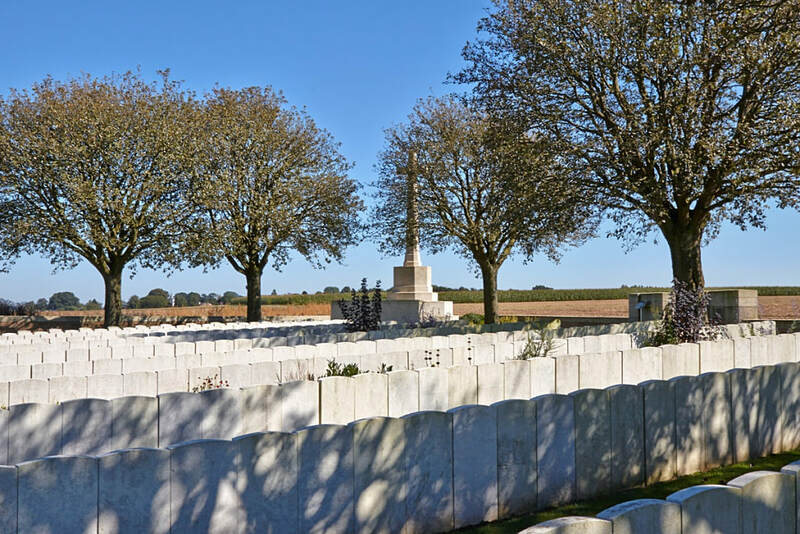 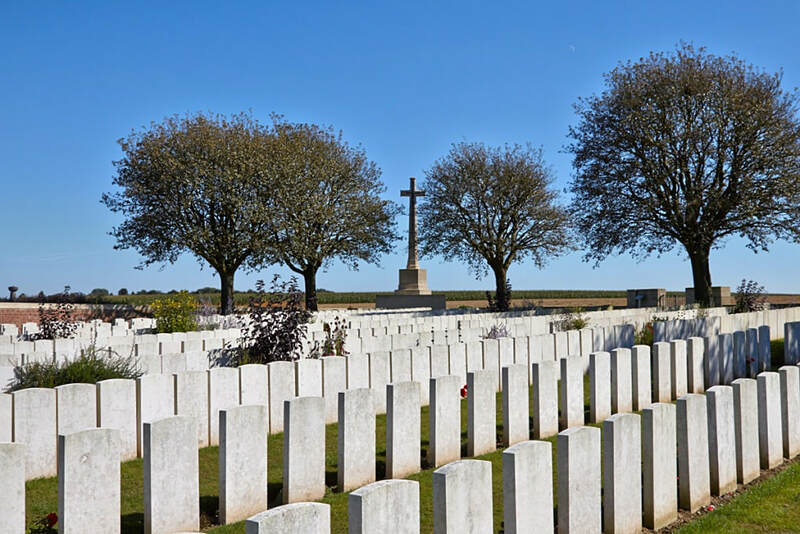 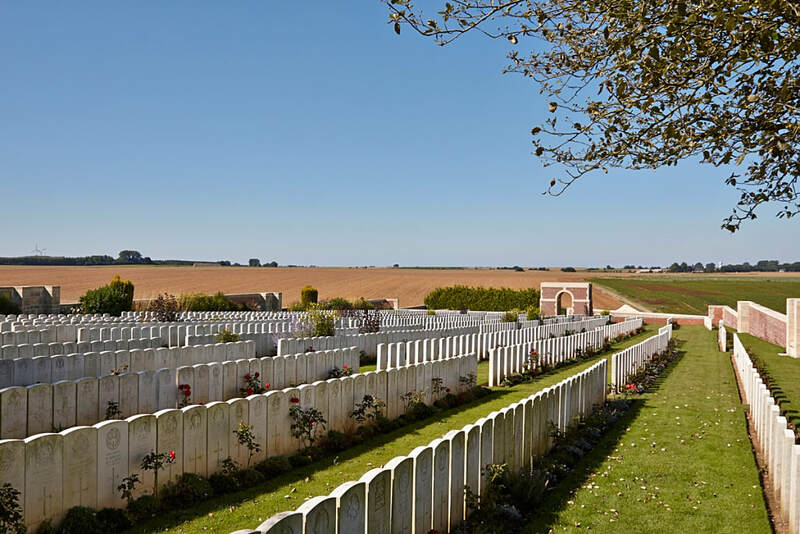 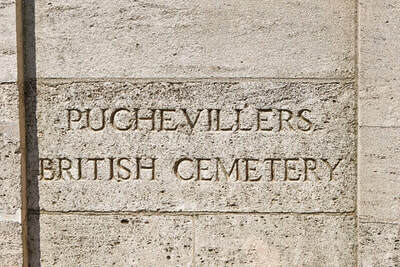 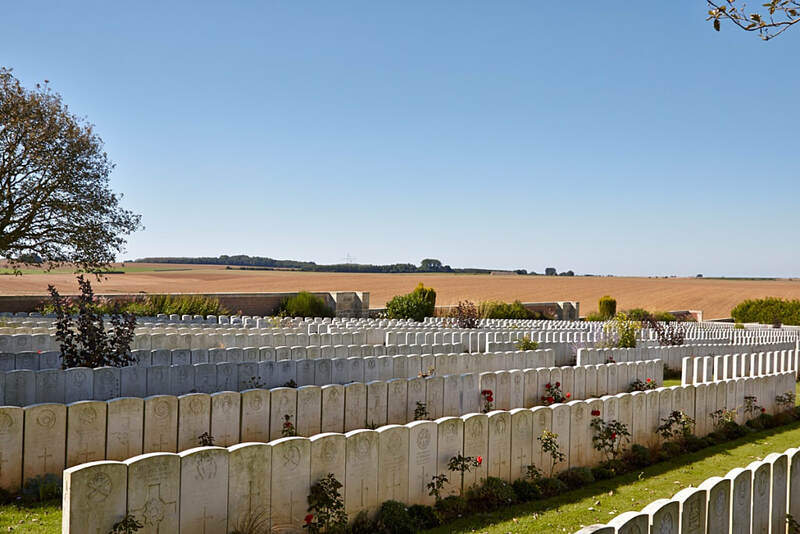 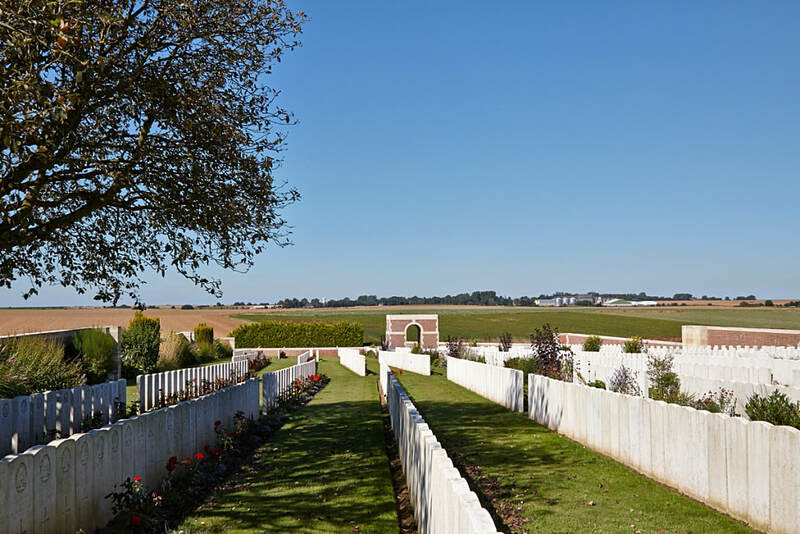 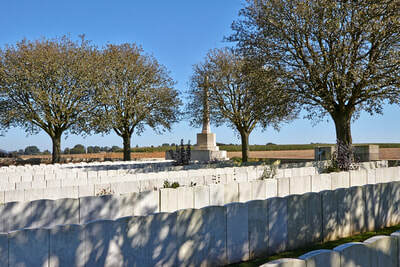 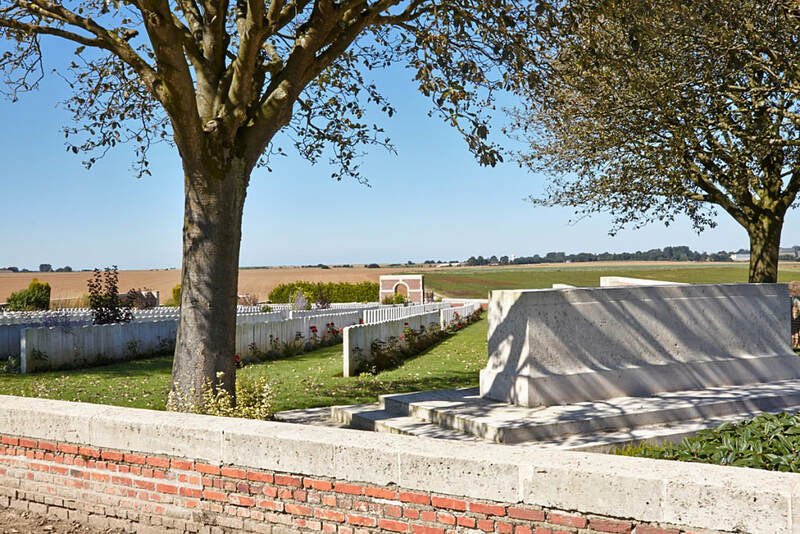 Puchevillers British Cemetery contains 1,763 First World War burials. Casualty Details: UK 1132, Canada 213, Australia 417, New Zealand 1, Total Burials: 1763.